I love avocado so I usually buy a couple a week and make a yummy guacamole that I serve with multigrain chips. It’s super easy to make with just four ingredients- avo, tomato, garlic and lime juice. I also have an olive tree at home so I also make an olive dip a few times a year when they are ready to be picked. I mix in some Greek yoghurt, feta and olive oil to give it a bit of a Greek flavour and serve it with flatbread. Delicious! I love dips! I remember mum making a very delicious and popular Maltese broad bean dip at home call Bigilla. Mum would soak dried broad beans in water overnight and then drain them in the morning. The broad beans would then be placed in a saucepan with salted water and simmered until soft and tender. The beans would then be drained and mashed to the consistency of your choice and combined with crushed garlic, finely chopped parsley, chilli, salt and olive oil until a creamy dip was achieved. Mum would then place the dip in a serving bowl and drizzle with extra olive oil and a sprinkle of chopped fresh parsley. Yum! Hint: The dip also made a very tasty spread for sandwiches. During my school placement I found a really good nut free pesto that goes on pasta but I really enjoy it as a dip. It’s nice and simple and like I said nut free. It’s really easy to make with nice fresh ingredients. All you need to do is put it all in a blender and its done. Simple and tasty. 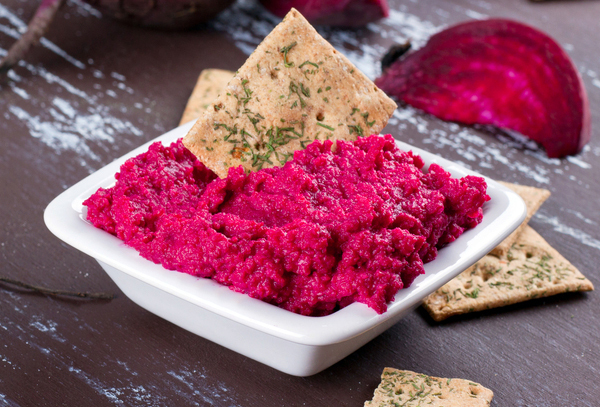 Dips are quick, easy, nutritious and delicious. Especially with fresh sourdough. Yum! I make a dip with avocado, lemon, lime, garlic, tomato, cayenne pepper and sometimes a bit of natural yoghurt. We couldn’t agree more Sandra!